Meridian Energy therapies have been around for thousands of years. 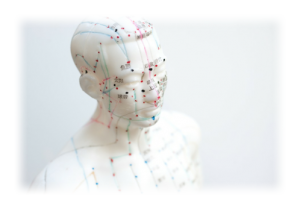 The ancient study of acupuncture mapped out the meridian points where qi, or life energy flows. It is widely believed by meridian practitioners and students that when disruptions to this flow are blocked, negative emotions and physical diseases occur. Rooted in Clinical Psychology, Kinesiology and Traditional Chinese Medicine, meridian based therapies use cognitive as well as subconscious methods to release the blocks and restore the flow of energy through use of non-invasive treatments techniques. Drawing on the model of quantum physics stating that all is information based, meridian therapies help to restructure the information into a more preferred experience. For over 30 years, Dr. Roger Callahan continues to promote his development, a technique he called Thought Field Therapy (TFT), that was the father to other meridian therapies that followed. Gary Craig, a student of Dr. Callahan, simplified the TFT process into the popular Emotional Freedom Techniques (EFT). Both of these relatively simple, yet effective tapping techniques unleash the body’s own power to eliminate unwanted conditions. With the passing of time EFT has made it’s way into the mainstream with such propensity that many, only calling it “tapping” find the simple tapping routine an easy self-help technique to use with everyone for any type of situation. Even the NHS are using it to treat anxiety and depression. Although referred by many as the one minute wonder, EFT for more serious and chronic conditions requires the expertise of a trained therapist to guide a client through the complexities of subconscious programing resulting in limiting beliefs that prevent individuals from moving forward. A series of meridian therapy sessions with me will allow you the freedom to rewrite past trauma to more acceptable terms whilst also often correcting and freeing up conditions and diseases in the body.